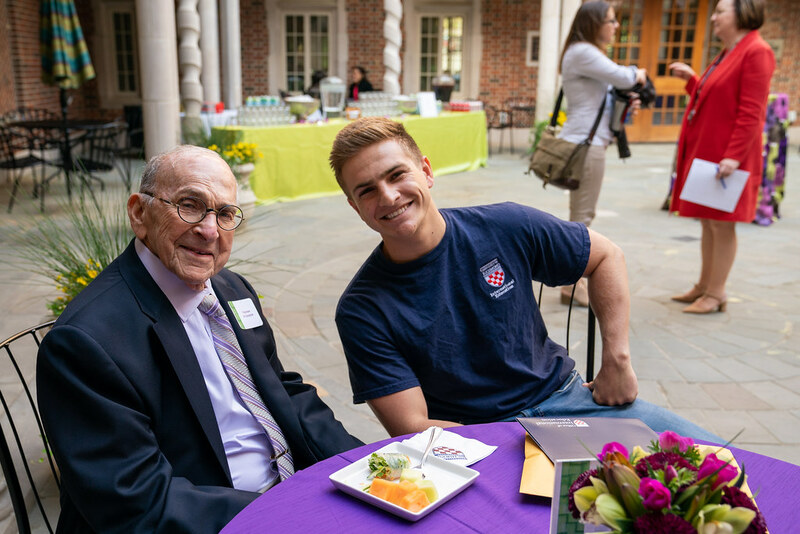 Each year, International Education recognizes students, staff, faculty, and alumni who perform exemplary acts of internationalization to benefit the University of Richmond and communities beyond. Congratulations are in order to this year's deserving cohort! Dr. Kasongo Kapanga, Professor of French and Francophone Studies, has long been a terrific colleague for International Education as he brings insight to his generations of students as a scholar living with lived knowledge of at least two cultures, his native Democratic Republic of Congo and his deep understanding of the United States. On the faculty seminar trip to South Africa last summer, Kasongo was a steady and wise presence, moving deftly among cultures and serving as part of the glue that kept the group tight. He then brought Africa back to campus for South Africa Week with a splendid series of films hosted by his colleague from the University of Pretoria, film critic Chris Boodryk, who has left strong ripples behind him. Kasongo will return to South Africa this summer to give a paper at the University of Witswatersrand. 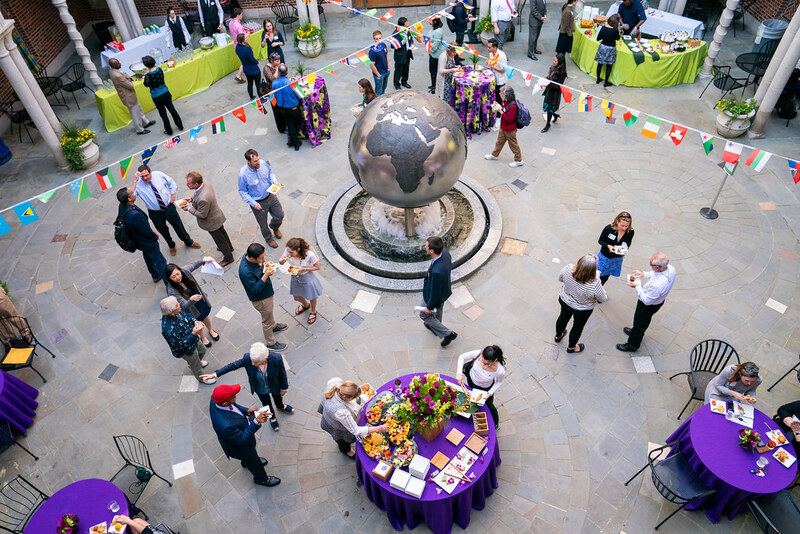 For his collegiality and unfailing desire to bring cultures together in mutual understanding, he is awarded the 2019 International Education Award. Dr. Todd Lookingbill, Associate Professor of Geography, the Environment and Biology, has an amiable disposition masking his steely resolve to make the world a better place, student by student and colleague by colleague. He brought this strength to the faculty seminar trip in South Africa and then shared one of the great finds from that trip with his classes here in Richmond. Photographer Johnny Miller has had a great couple of years with his photographs of inequality featured in National Geographic and other prominent venues, but when he spent a week on campus with us this November he said he’d never had an experience like participating in Todd’s classes and seeing the sense of purpose and analytical skill with which the students analyzed his work. Todd also took a group of international and domestic students on a Passport to Virginia trip this year, understanding that the natural environment is as important as historical houses and monuments in understanding this beautiful place we are privileged to call home. For his keen eye, wit, and desire to improve, she is awarded the 2019 International Education Award. 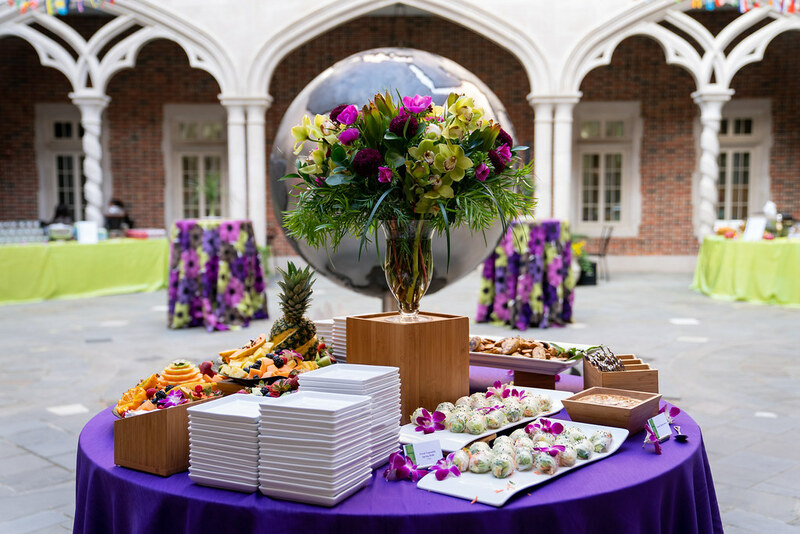 Liz Buehler, Assistant Director, Events, Conferences and Support Services, is a colleague and partner extraordinaire to so many on campus and always puts her best efforts forward to support the work of International Education. So many events come together in meaningful ways with her support and networks around campus. She regularly sprinkles her magic venue-scheduling dust on the annual International Film Series, which on average covers 18 weekends and more than 55 individual screening reservations. There’s nearly no scheduling conflict she can’t work through that leaves all parties satisfied - or at least becalmed. Her greatest claim to this award is the work she has put in for the recent International Education weeks, so far Danish Week and South Africa Week, in November of 2017 and 2018. Anyone else would flinch when you want to construct 700 luminaries stretching from this building to the dining hall! Need a fir tree for Danish students to decorate or want to dramatically light a selection of trees across campus? Liz can put you in touch with all of the right people. For her poise, expert management, and creativity – all while safely weaving through campus foot traffic in a golf cart – she is awarded the 2019 International Education Award. Emily Churchill, '19, majoring in Global Studies and Latin American, Latino, and Iberian Studies and Global Studies, and minoring in Women, Gender and Sexuality Studies, studied abroad for a year and two summers in Spain, and a summer in Morocco, interned with a UR alumnus in Ecuador, and accompanied first-time student travelers to Chile this spring to launch the first EnCompass program. And yet her greatest impact has probably been on this campus, where her wise counsel as the Study Abroad Peer Advisor has helped hundreds of students learn how to travel well. While in Granada, where she pursued interests in Moorish history and women’s issues in the Islamic world, Emily blogged for IES Abroad. She was selected as the 2017-18 Correspondent of the Year and honored at IES Abroad’s annual conference in Chicago, where the country’s largest study abroad provider called Emily’s work insightful, engaging, and authentic. Her posts from Spain have been viewed almost 3000 times by those who seek valuable advice on making the most of their travels. After her graduation in May, Emily will travel to Costa Rica to work for AMIGOS, an international exchange and community service program for high school and college students. For her generous wisdom honed through travel and her insightful presence in the Office of International Education, she is awarded the 2019 International Education Award. Jieyi Ding, '19﻿, also known as Crystal, first worked in the Office of International Education in Fall 2017 as an international orientation assistant. She returned in Fall 2018 as head orientation advisor, a position responsible for coordinating the entire team of 16 orientation advisors who in turn work with more than 100 international students. Crystal was dependable, organized, a self-starter, and had a great attitude. As an international student herself, Crystal showed empathy and understanding to our new students, and also served as a role model for involvement on campus. Crystal is active in WCGA student government, and is also involved in Chinese Student Scholars Association, Debate Council, as well as working at both Boatwright Library and the Speech Center. As a major in Leadership Studies and Psychology, she pursued study abroad opportunities in La Rochelle, France and an SSIR trip to Canada. In addition to her many academic and extracurricular engagements, Crystal is always willing to stop and have a conversation. As an outstanding student, a supportive friend, and a role model for fellow Spiders, she is awarded the 2019 International Education Award.